This error appears when attempting to add a server in Eclipse. 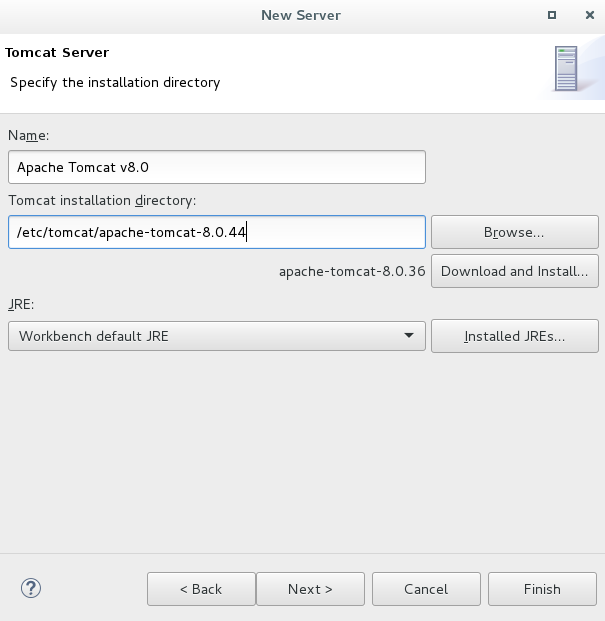 In this example, /etc/tomcat/apache-tomcat-8.5.16 is entered as the Tomcat installation directory. It may be the case that Eclipse does not support the version of Tomcat you are using. 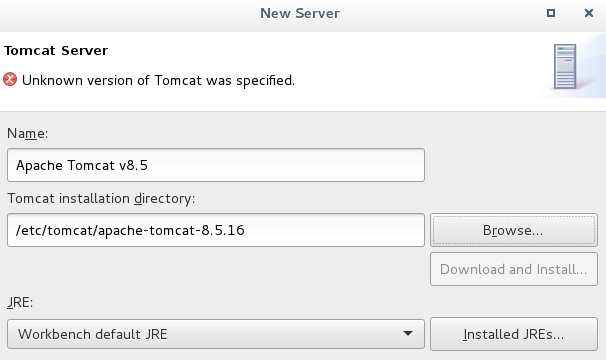 In the above example, the error appears when using version 8.5.16 of Tomcat. However, when version 8.0.44 of Tomcat is installed on the machine, the error no longer appears.